Surf Groms are Now Open to Book! Is your child ready for a taste of surfing? 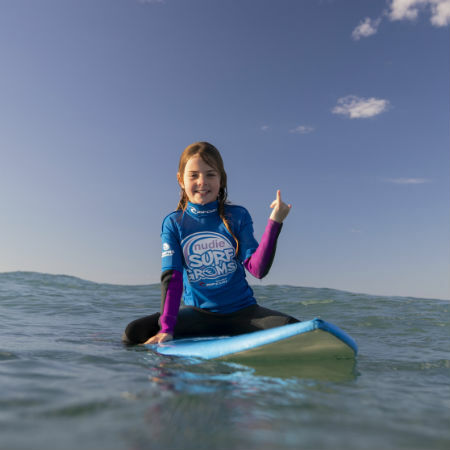 Our nudie Surf Groms courses are great for young kids or ‘groms’ to develop beach safety and awareness, while learning some surfing skills and having lots of fun! All our other kids’ lessons start from age 7, but Groms can start from 5 years. Working in small groups, they’ll learn beach safety and gain confidence in the surf with plenty of help from their fully-qualified instructor. Backed by Surfing Australia, it’s a great way to get started in surfing.